Just a little share on a cloudy Tuesday! The Holiday Mini is here! This totally AMAZING catalog is here!!! And there are just TOO MANY awesome things to say about it. CLICK HERE for the supplies used in the samples on each catalog page. BOOK YOUR IN-HOME workshop now! Invite me to meet your friends for a special total hands-on ladies night out. Please email me with dates that work for you and your friends. I’ll call you when I confirm your date! 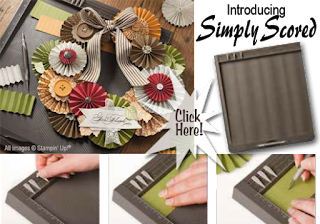 The new mini includes many new accessories including the new Simply Scored… an amazing scoring tool, a Sizzix BIGZ L Holiday Stocking die (sample shown in the photo above) as well as an additional ‘coordinating’ Sizzix die ‘Stocking Accents Original Die‘ which has even more fun die cuts to create cool realistic holiday stockings! Did I forget the XL Stocking Builder punch with the coordinating stocking set… ? (Remember you can order your stamp sets in clear mount or wood mount!) No, you really really have to check out the mini yourself–or better yet, have your friends over and I’ll show you! 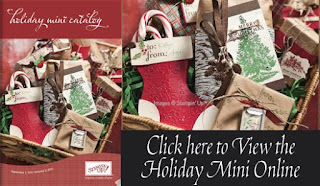 Please check back to see some of the wonderful projects I have done with the Holiday Mini!